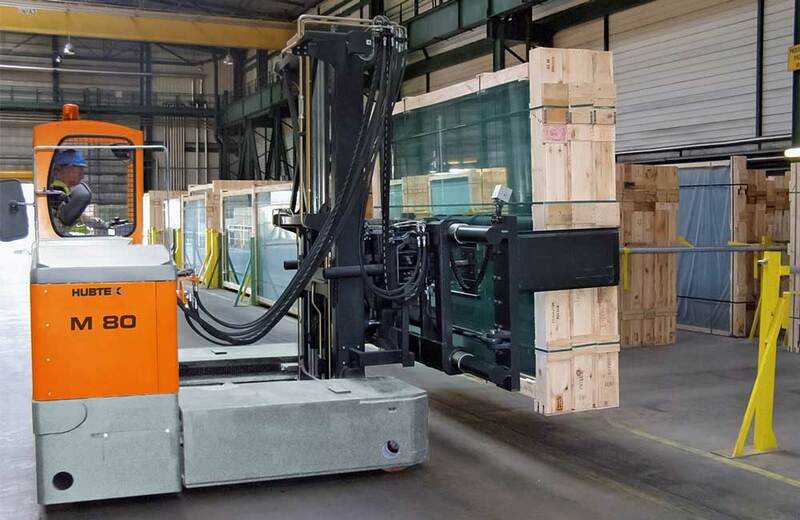 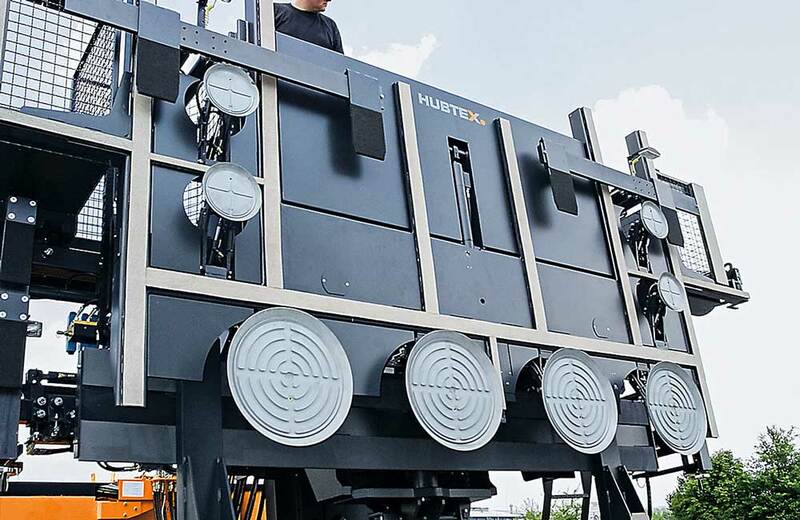 For more than 30 years, HUBTEX has developed specialized glass handling multidirectional sideloaders for the float glass industry offering complete transport, storage and loading systems. 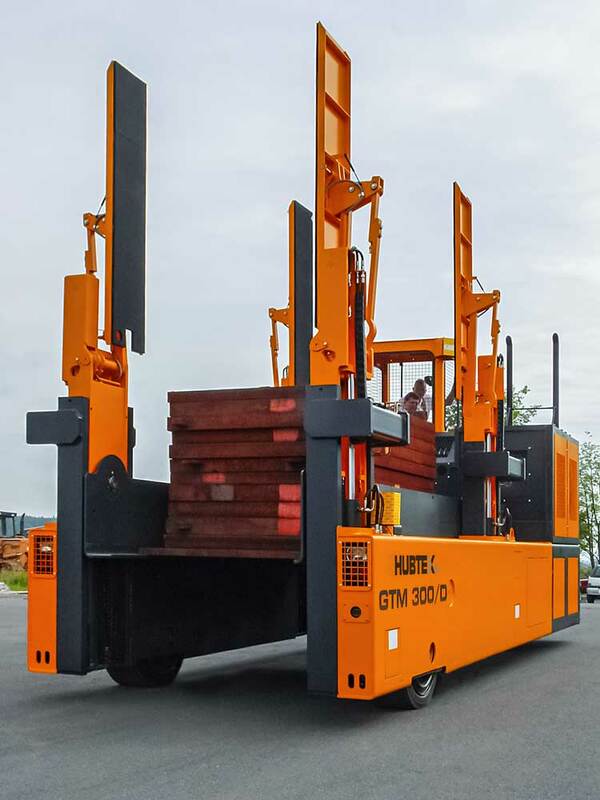 With well proven technology and reliable component construction, HUBTEX guarantees high quality and availability of their glass transporters. 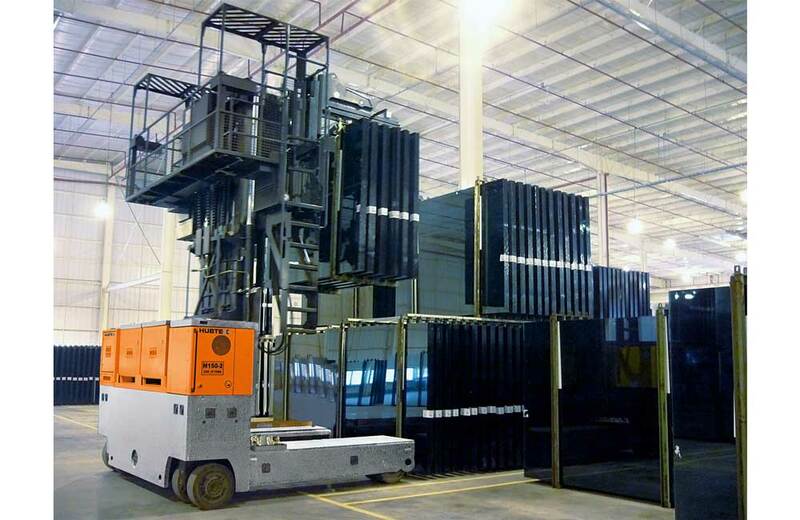 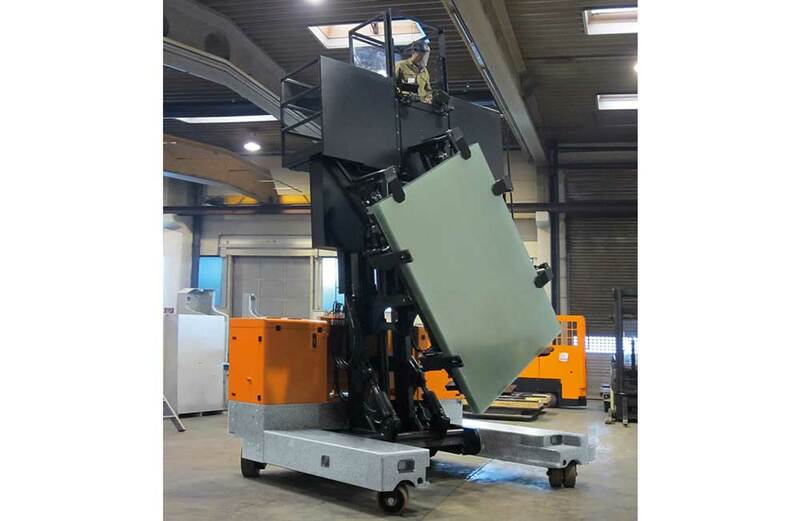 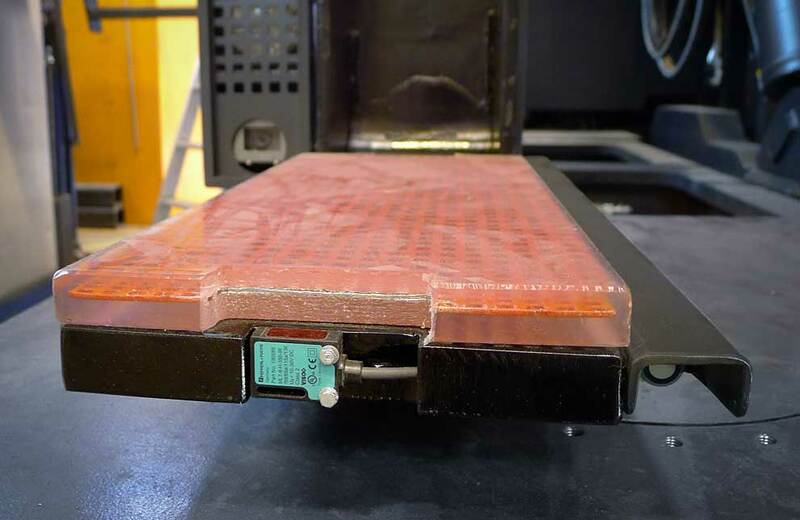 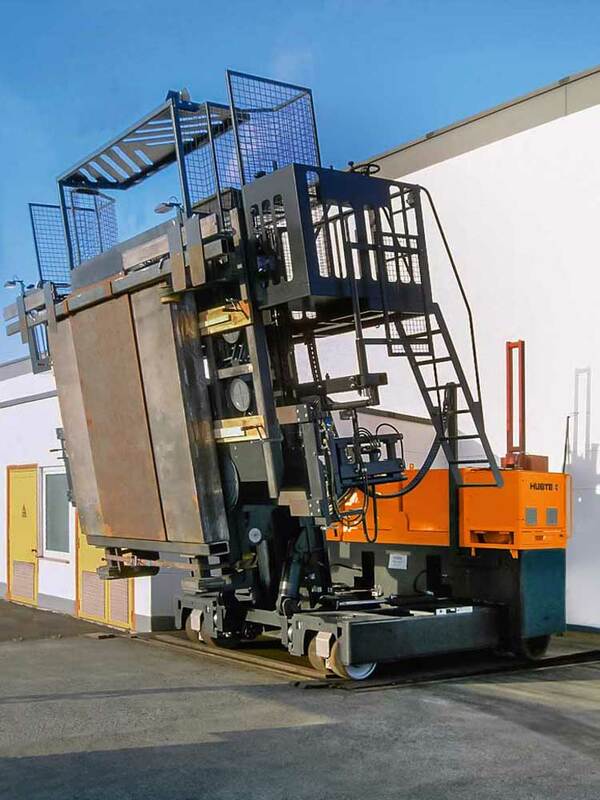 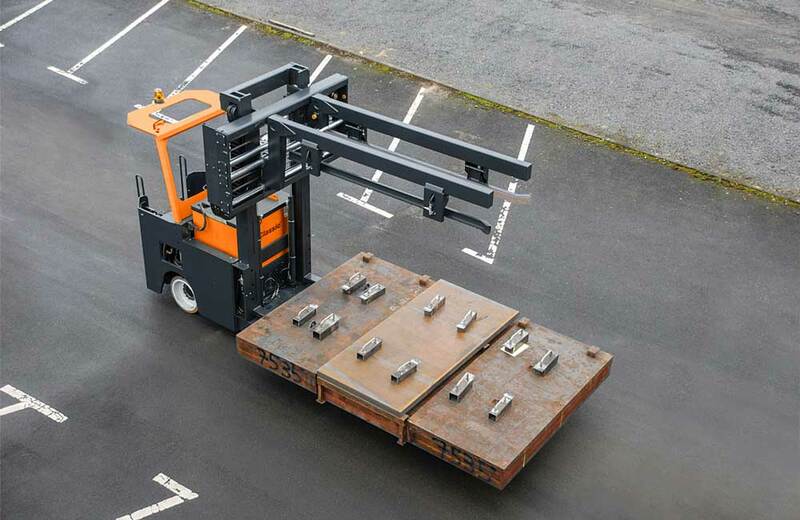 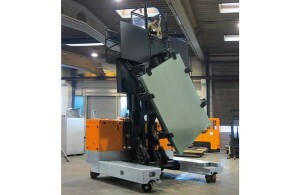 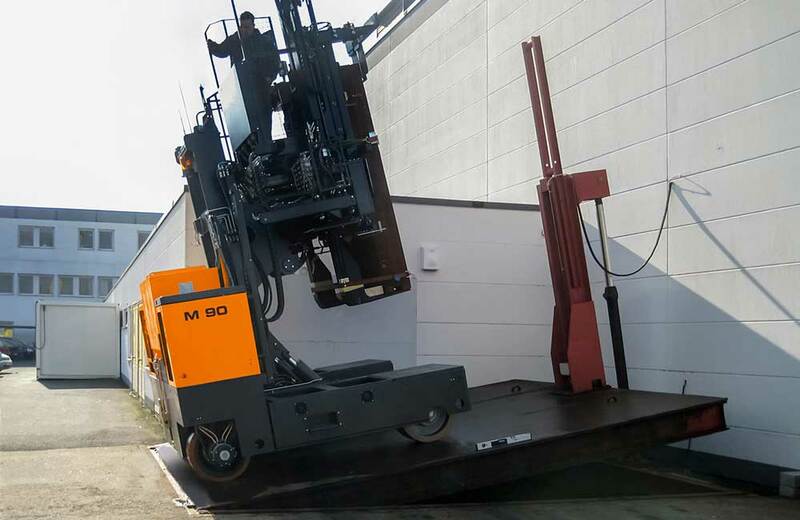 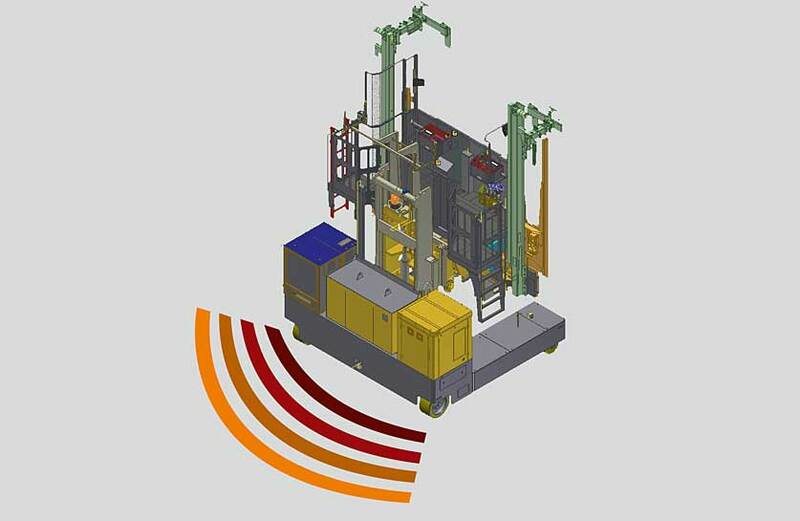 The M-series requires only one operator, who is standing on a platform on top of the load. 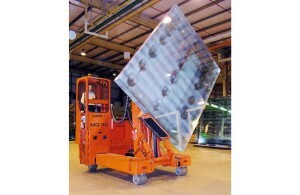 This offers improved visibility and precise maneuverability allowing for safer order picking with less broken glass.